Country rustic weddings are fun and will produce natural, beautiful images that have a timeless quality to them, difficult to get anywhere else. 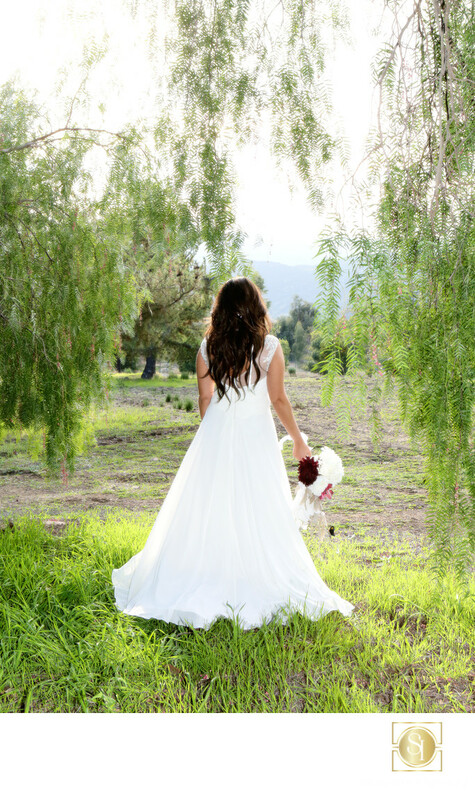 The open fields, beautiful, unpolluted light and a simple wedding dress are a photographer’s dream to get just those photos! Rustic barn weddings have a certain deep resonance with many people and give a photographer a lot of interesting things to work with. As San Diego wedding photographers, we love to break out of our urban/suburban norm and work at places like this! This particular image is of a bride whose taste in pretty much everything is as natural as she is. Here she is just walking out into the setting sun after the ceremony, taking in the day and all it meant.